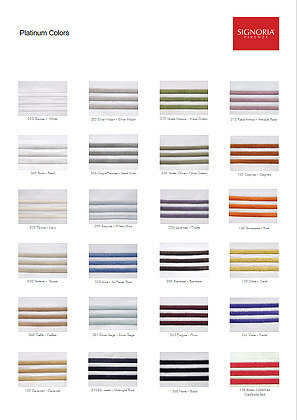 A wonderful 400TC White percale with three lines of embroidery available in Raffaello colors. Platinum can be used as a stand alone bed or as an alternative sheet set. Signoria's three basic programs - Platinum, Masaccio, and Raffaello - now offers over 20 colors. Express your style by mixing pieces from any of the 3 basic programs, use alone, or coordinate with any Signoria collection. Our swatch program allows you to return fabric samples within 15 days for a full refund. Your choice of up to 3 Platinum swatches. White percale with triple satin stitch in a U shape. White percale finished with triple satin stitch. White only, with elastic all around. White percale with triple satin stitch and a 5" flange. 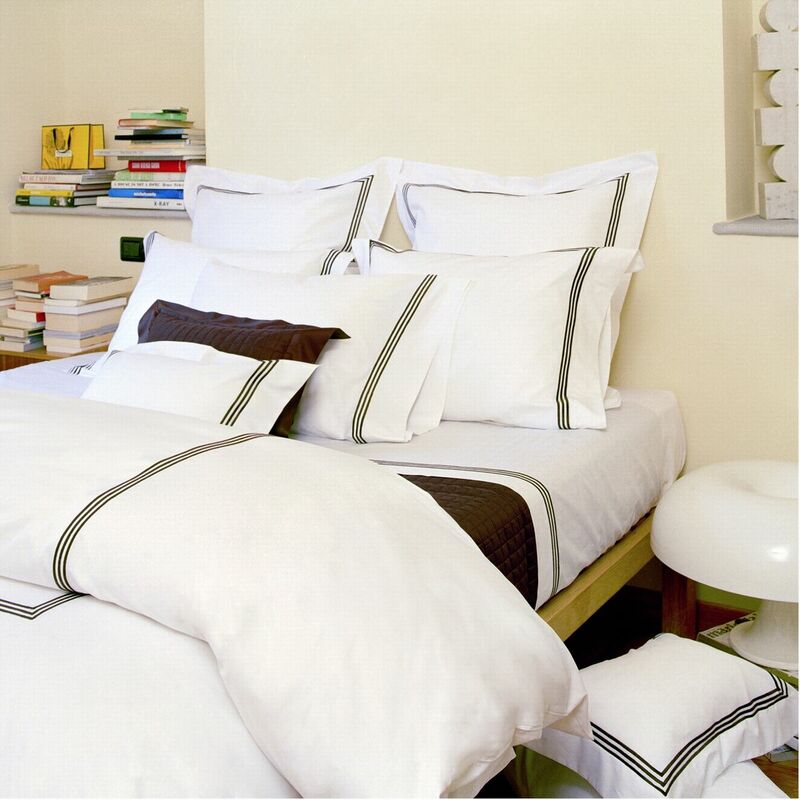 White percale with triple satin stitch.